It's summer, it's raining again, and the kids have nothing to do. So make some popcorn, get out the cocoa tin and bring out the board games. Not every game will appeal to everyone, but if you make a family affair out of playing, most children will love to take part. Who knows, they might even learn something! Studies have shown that board games can help develop critical thinking skills, helping young people learn how to reason better and stimulating long-lost brain function in elderly folk. 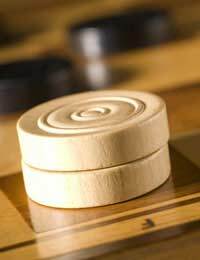 Basic games such as chess and draughts obviously inspire fine thinking skills, but even more modern-day games such as Rummikub are good to hone your strategy techniques. However, it's a question of trial and error when it comes to board games, as everyone has their own likes and dislikes. You can probably guess what kinds of games your own children would like, but they may surprise you. If they haven't played a lot of board games before, stress that they are only games, and that winning is not the end goal. In the long run, developing good sportsmanship is far more important. Draughts. A good first introduction to games of skill and chance. Easy to learn and fun to play. Chess. Not for everybody, but if your child shows an affinity for chess, there is a whole world of chess clubs out there in future. Scrabble. The classic word game that tests your dexterity with letters. Rummikub. A game of both skill and luck which is great for developing maths skills. Countdown Board Game. See if anyone in your family is a budding Carol Vorderman as they test their maths and literacy skills. The X-Factor Board Game. You get to be a contestant, starting with your first audition, then graduating to Boot Camp, auditions at the judge's houses and The Final. Britain's Got Talent. The Electronic Board Game. For ages 8 and above, it promises to “amuse you with its wonderful collection of talents.” Easy to learn. Winning Moves – The Simpsons Board Game. Contains six mini-games inside the big one, great for fans of these yellow people. Monopoly. The greatest introduction to capitalism of all time. Trivial Pursuit. Once the nation's favourite, now eclipsed by other games on offer. Cluedo. Six possible suspects, six potential murder weapons. One of the most popular whodunnit games in history. Risk. Object: to conquer the world. Plan your attack and win! Operation. Pretend you're a surgeon as you test your skill level in removing parts of the body. Life. Grow up, get a job, get married, have kids, retire. Sound familiar? Battleship. Try to sink your opponent's battleship while keeping yours afloat. Best of all, board games promote family fun, and teach the qualities of sportsmanship and being a team player, as well as help develop reasoning, literacy and maths skills. Pray for rain more often! Board games, at least the good ones not based on YV shows, do require some critical thinking and can help with expressing oneself (like Articulate), so they not only entertain but also educate. Games that require teamwork are also good for kids because they teach them how to work with others. Don’t underestimate board games! There are board games for all different ages, and some new ones, like Carcassone, that have quickly becomes classics. You want ones that are easy to learn but which can keep the interest for an hour or more. For older children, instead of chess, why not something like backgammon or Go, both of which are easy to learn but requite strategic thinking?